When you can’t sleep music assisted relaxation (MAR), the process of listening to calming music at bedtime may help you achieve faster and deeper sleep. Due to the musical similarities to the therapeutic use of music for relaxation, music for sleep is also referred to as music therapy, sedative music, relaxing music, calming music and sleep-inducing music. 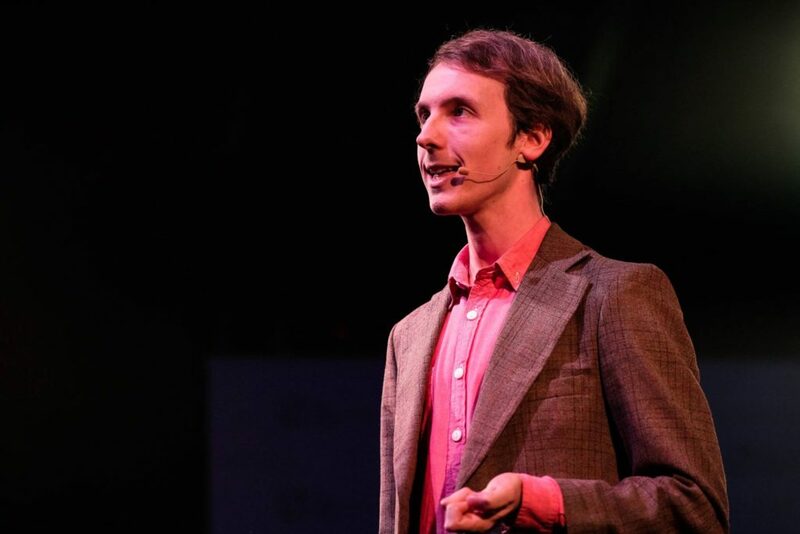 When I was studying my undergraduate in music a few years back, I found it mesmerising that music could change or alter my mood. When I discovered music psychology, it supported this, proving music’s ability to alter our physiological and cognitive state. Well, in actuality, when I looked deeper, I saw that music could be used as a tool and has the capability to aid sleep. Fascinated, I undertook my honours (which eventually became a PhD) in the psychology of music as a sleep aid. But when I performed a preliminary survey of students at my university, what I saw was that not everyone was having success with music and that may be in part because of the music they were listening to and the way they listened to it. However, not all was lost. Through countless hours of hard work and research, I learned many of the reasons why music could aid sleep and the musical features that matter. For the sake of brevity, I will mention the features of music that are the most quintessential to my research and how they may aid sleep. At last, I am in the final stages of publishing research and presenting how music could aid sleep and possible help you sleep better! How to use calming music when you can’t sleep? How to use calming music for when you can’t sleep? One of the biggest aspects of improving your sleep with music-assisted relaxation is the choice of music. Thus, improving your sleep should start from implementing the right music. To start, try and think about the music used to help infants sleep, lullabies. These are simple songs and very different to the music children sing, play and dance to such as the wiggles. Similarly, you wouldn’t listen to your favourite pop, rock or dance music when trying to sleep because it’s too engaging. Instead here are three great music genres to guide you through the hunt for quality sleep music. These genres will provide you with many songs or piece to account for anyone’s music taste. And the best part of all – they are all available as YouTube and Spotify playlists! Remember that the music you listen to for sleep must not keep you awake. Don’t be tempted to listen to popular, but distracting music. You want music that might even be considered boring in a different context. Afterall, you wouldn’t listen to a lullaby at a party or in the car. In some cases, choosing music without lyrics or in a language you cannot speak can be less distracting. Did you know that unexpected sounds can cause brain arousals which impact on sleep quality? This is why listening to repetitive, familiar and simple music can be a very good method for choosing the right music for sleep. In addition, listening to long pieces of music uninterrupted by advertisements reduces the potential of transitions between songs or to an advert startling you. Another option could be listening to a concept album or artist whose music sounds all the same. 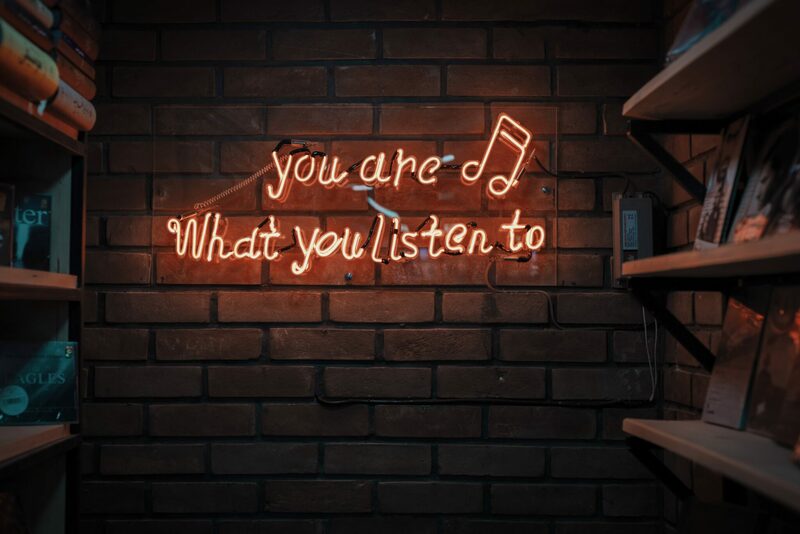 You will be surprised by how much more relaxing listen to music can be without transitions between pieces or drastic musical stylistic changes! This is why listening to repetitive, familiar and simple music can be a very good method for choosing the right music for sleep. In addition, listening to long pieces of music uninterrupted by advertisements reduces the potential of transitions between songs or to an advert startling you. Another option could be listening to a concept album or artist whose music sounds all the same. You will be surprised by how much more relaxing listen to music can be without transitions between pieces or drastic musical stylistic changes! There are many minimalist, ambient music and film scores that go longer than 15 minutes. Some playlists even loop the same piece of music for extended periods just to make things easier. For musicians and music fanatics, let’s list some musical features which can be distracting. What we are avoiding here is surprising changes in the music due to their extreme and/or sudden nature (such as Haydn’s Surprise Symphony Mo. 94, 2nd Movement). For example, radical sudden changes in dynamics particularly from quiet to loud could be startling. Similarly, if a harmonic or a stylistic expectation has been set, its violation could be staggering. In general, a smooth and slow transition between musical ideas, where the ideas do not vary significantly, the less mental load required. For this reason, a variation on a musical theme (or similar) may be beneficial. b) Choose calming music for a pleasant relaxed feeling. Now when listening to music for when you can’t sleep, it’s imperative that the music helps you develop a calm and pleasantly relaxed state. If you are not enjoying the music, then consider another song. Similarly, if the music does not make you feel relaxed, you should try something else. I wouldn’t attempt to overthink if the song is the most relaxing song on your playlist (at the risk of developing anxiety over song choice) but instead checking in to see if you feel relaxed. In general, if you feel pleasantly relaxed then you probably are, or are on your way. Is the music too engrossing? For some individuals, they haven’t had success with music as a sleep aid because they believed it to be too engrossing. Listening to music that brings up strong emotions for either personal reason or because the composer intended it could be counterproductive. Instead aim for music that you find pleasant, but you don’t “Love”. If you don’t know where to find music that doesn’t evoke strong emotions, use this app that makes relaxing music for you using AI. Use your personal experiences and background to your advantage. For example, if you have felt relaxed by the beach or hearing rain in a cosy cabin, then look for these sounds. If your culture has pieces of music played at sleep (such as Neelambari sleep-inducing raga) your association of this music with sleep may be beneficial. In western culture, a recent resurgence of baroque music has come forward due to its lesser dissonance when compared to contemporary classical music. Whilst this music was not intended for sleep and some of the music is harmonically dissonant, our association with this style as being “music for sleep” may aid in priming a sleep state. This concept is exciting and could possibly explain why music has been shown to be more effective than listening to relaxing audiobooks for when individuals can’t sleep. Musical entrainment is a physiological phenomenon where the rhythms in your body such as your breath rate, heart beat or brain activity syncs with the rhythmic properties of the music. You may be familiar with binaural beats or isochronic tones as a strategy for brainwave entrainment, though the research is inconclusive on the efficacy of these strategies for sleep. Other forms of entrainment, such as the synchronisation of tapping your foot to the pulse of music we have all personally experienced. Some athletes even use the rhythms of music to maintain pace when working out. What music should the tempo be? The general consensus across the music psychology literature on sedative music is that MAR should ideally be between 60-80 beats per minute (BPM). In Italian tempo marking it would be adagietto i.e. slower than at a walking pace. Knowing this makes it quite easy for non-musicians to be able to see if the music is too fast by just walking along to the beat. In general, this slower tempo is very common for relaxation music, otherwise you can use beat detecting programs or look for musical scores on the songs to check. If you can, try to avoid music when the tempo speeds up (slowing down is fine though) as this could be counter intuitive. What about the rhythmic features? Again, we can look back into the science, and the recommendation is music with a weak pulse without syncopation or strong rhythmic features. Strong pulse and syncopation are common in dance music and if you remember from before, we are trying to sleep not dance. This being said a clear pulse may aid in the entrainment process. Not everyone is fortunate enough to have a quiet sleeping environment. You may be plagued by a snoring partner, nearby traffic, arguing neighbours or their deafening television. These sounds can hinder sleep but you can hide them under the music like a curtain to block flashing light entering through your bedroom window. Going back to the bedroom window analogy, closing the curtain part way would still allow the flashing light to enter your room. Similarly, if your neighbours loud television is low pitch, trying to hide the sound behind high pitch music won’t be effective. Instead you want to be listening to wall of sound ranging from low to high frequency. For example, white noise, is every note played at the same volume at once. This is not most effective as we hear certain frequencies as louder and softer, grey noise or pink noise is often a better option for our ears. When listening to our wall of sound, if it the sound is consistent, we habituate to it. No new information is provided so we eventually tune out to the sound. This is why constant sound is best. If your pink or grey noise cut out it would be distracting. Smooth looping of background masking sounds are essential to avoid distraction. Now that you have chosen and optimized what music you will be listening to, you are ready for step 2 of MAR: using music the right way. There are a couple instructions your must follow to get the most out of your music listening experience. Before you consider music when you can’t sleep, the first thing you should do is understand what is possible and what isn’t possible with music. Expectation management is very important when considering any new treatment. Can calming music help me? The use of music as a sleep aid has not been tested on individuals who suffer from sleep apnoea or restless leg syndrome. It’s important to see a sleep doctor to ensure you do not have either of these conditions as they are not treated or managed used music. Music has been sued for individuals who suffer insomnia and is particularly relevant to the hyper-arousal model of insomnia. This we where music can relax and distract you from having stress thoughts which hinder sleep. Using music as a sleep aid should be compared to dieting to lose weight. Music has been shown to be most effective when used every night for at least four weeks. You may notice an improvement in your sleep immediately or it may take a couple of weeks. In fact, most studies were unable to find a point where continual use of music stopped improving the participants sleep quality. This suggests that like a diet, the best results from music come from maintaining to a strict routine. So commit to making music a habit every night for atleast 30 days. Preparing music for sleep can be as easy as playing a song at bedtime. Things however might be more complicated for you if you share your room with someone else who doesn’t want to listen to the music or are sleeping in a noisy environment. What should I listen to the music through? You have many options for which you can listen to music through and what you choose will depend on your specific circumstances. If you have speakers in your bedroom you could use these. Listen through your mobile phone speakers are another option, however, most devices have small speakers that will impact on the quality of the sound (especially in the lower frequencies). In-ear headphones can be a problem as these plug your ears and may possibly build up earwax. External headphones can be uncomfortable if you sleep on your side or toss and turn in bed. One option to consider is sleep-phones, soft fabric bands which are much more comfortable on you ears. Ideally you should play the music as quiet as comfortably possible. The first reason being thatthe continuous use of loud music (i.e. over 80db) can damage your hearing with extended exposure. The second reason is that quieter music is often less distracting than louder music. This being said, if you are attempting to drown an unpleasant sound such as your partner snoring you may need the volume of the music to be louder to mask it. When should I start listening to the music? Listening to your favourite music throughout the day can positively impact on your health and mental wellbeing which may intern improve your sleep. The best time to listen to sedative music is as you get into bed. Most of scientific research has individuals listen to music for 45 minutes at bedtime as most people can fall asleep by this time. Setting up the music to auto turn off with a from a timer can make things easier. Yes, you can just relax and listen to the music but if you want to get a little bit extra you can include exercises that draw attention to the music. I’ve included a couple of exercises in the tips below. As you are now aware, your bodily rhythms can sync to the rhythms or beat of the music. Give your body a helping hand by breathing in and out in sync with the music. You wouldn’t breath in & out per beat but over a couple beats and if done correctly should slow down your breathing. For example this could be [1 breath in] [2 breath in] [3 hold] [4 hold] [5 breath out] [6 breath out] [7 breath out] [8 breath out]. Your breath rate would depend on the tempo of the music, your resting breath rate and time signature of the music. Visualizing the air traveling through your body you breathe and taking deep breaths may be beneficial. Letting your mind wander with the music can help you avoid stressful thoughts that might otherwise keep you awake. If you are listening to beach sounds, visualize a relaxing experience at the beach. What does it look/smell/sound/taste/feel like? Does the music remind you of somewhere or someone? Can you imagine you are playing the music? Can you follow the contour of the melodies? Can you create a calming story about the music? All of these visualizations allow you to focus internally instead of on external stresses. To get the most out your sedative music listening experience there are quite a few things you do to check for, prepare and do. Do you want to potentially take your music listening experience even further? 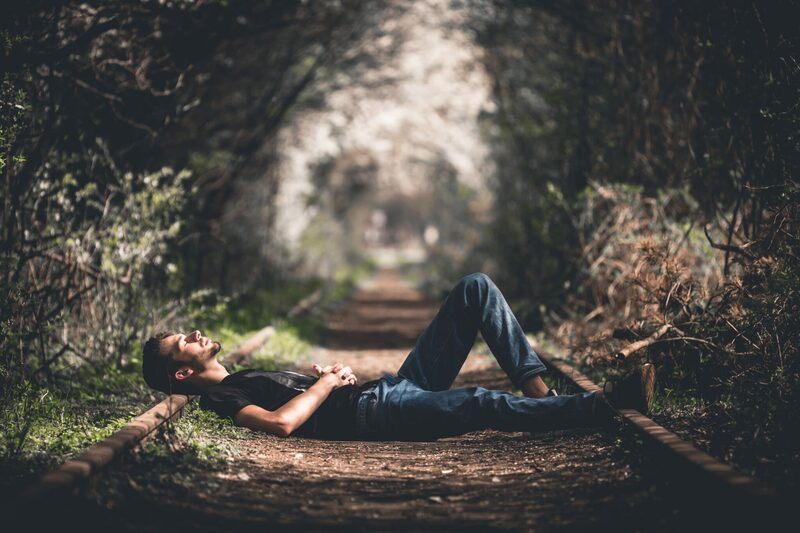 One strategy we’ve already discussed is combining relaxation techniques such as visualization and breathing exercises to amplify the effects of music. This strategy is very commonplace in sedative music researcher. A sleep strategy that is growing wide support but unrelated to music is stimulus control therapy. Are you familiar with the Pavlov’s dog experiment? At feeding time, the dogs would hear a bell (stimulus) which they would eventually associate with food. The bell would play, and the dogs would begin to salivate in preparation even if the food was not there. Stimulus control therapy for insomnia is intended to help you associate the bedroom (a stimulus) with sleep, and I’d like to suggest a twist to associate your music with sleep. 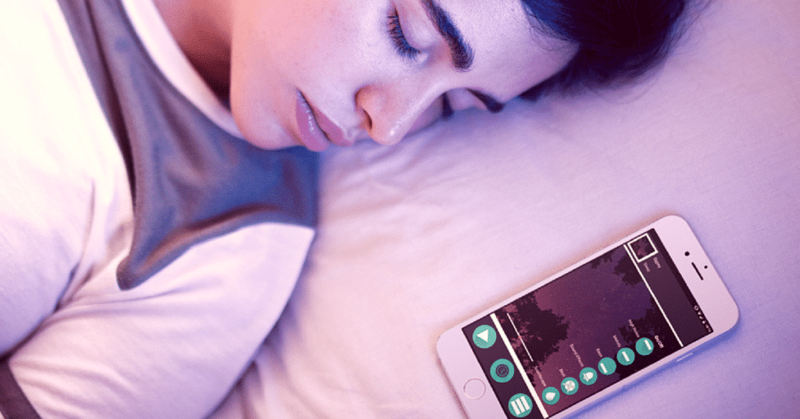 Imagine if whenever you heard your sleep music playlist you fell asleep. This is considered classical condition, you are conditioned to hear the music or lie in bed and fall asleep. No study to date has combined music with stimulus control therapy and whilst music has no known side effect you would be doing this at your own risk. If Pavlov hit a gong instead of a bell would the dogs still salivate? Unlikely, because the stimulus (gong) isn’t associated with food. What if Pavlov stopped playing the bell? The dogs might stop associating the bell with food. Maintaining consistent usage of music as a sleep aid may improve your music sleep association. The more regularly you use music as a sleep aid the stronger the music sleep connection. If you sleep without music, the connection becomes weaker. This may explain why music continues to become more effective with increased usage. Try to get an unbroken streak of using music every night as a sleep aid for at least a month. Is that a bell or was it a gong? Varying the audio stimulus too significantly could make the association less clear. I’d recommend listening to only one composer or music genre as you create this association. If you are seeking limitless music of the same style you can use my music. Strengthen your association of music and sleep with a prebedtime routine. Not only can having wind down time help you relax (such as a bath or reading etc), following a prebedtime routine can send a clear message that it’s time to sleep. Some athletes have a music playlist which they listen to months in advance whilst training so they can get straight into the right mental state through music on the day of the competition. Consider, “I put my phone here, turn off the light, play the music” sends a pretty clear message that it’s time to sleep. Try sleeping in the same room every night with music in the beginning. This may strengthen your association of “room and music equals sleep”. Once you have built a strong association you may be able to remove the room out of the equation. Sleeping on an airplane or in a hotel may be easier because you associate the music with sleep. If Pavlov played the bell and then 2hrs later fed the dogs, they association wouldn’t be clear. The same may apply with music for you. Turning on the music should be the very last thing you do before you go to sleep. The shorter the period between playing the music and sleep the better. Sleeping pills can be very helpful to get you to fall asleep. They are, however, not a long-term solution as they can have side effects and lead to dependency. If you choose to use sleeping pills, pair them with music as this will strengthen the association between music and sleep. If Pavlov rang the bell 100 times but only fed the dogs once, this would be 99 false alarms. Ensure music has the consistent result of sleep by using it wisely and when sleep is likely to follow. If you aren’t tired, you’ll just be listening to music in bed wide awake. That’s not necessarily a bad thing as music can help you sleep, but it could impact on the strength of the association between music and feeling tired. If you thought you were tired but were wide awake once in bed, get up. You don’t want to associate the bedroom and music with lying in bed aware. Instead get out bed, go into another room for a relaxing activity. You could do reading but I wouldn’t recommend being on your phone or watching television. When you feel tired again, go back to bed and play the music. For safety reasons you obviously don’t want to be listening to your sedative music whilst operating heavy machinery or whilst travelling. You also don’t want to listen to sedative music in any other occasion other than sleep (even for napping), as this could weaken the association with music and sleep. Therefore I can’t use my music for sleep because I associate the music with work. There are many ways of listening to music for sleep in bed and all these devices have other functions. For example, (1) if you use your phone to play the music then don’t play games or social media before bed, (2) if you listen to music through your radio, then don’t listen to anything else in bed (3) if you have a TV in your bedroom either turn off the screen and use it only for music to sleep to or get it out of the bedroom. Here is a cool infographic produced by us. It sums up the most important points about using calm music for when you can’t sleep. After you have your music and have started using it in the bedroom, keep an eye on your sleep quality. You can do this in a variety of ways the most reliable being the Pittsburg Sleep Quality Index (PSQI) or Calculating your sleep efficiency. I wouldn’t recommend measuring your sleep through your watch or mobile phone because studies have them to be completely unreliable. The target is to slowly but consistently improve your sleep quality over the next month. If you are not having the results you desire it is possible you have the wrong music and may wish to consider my music. Measure your sleep quality in three weeks or four because that’s roughly when big improvements in you sleep will be noticeable. Don’t give up if the results of first few weeks are not turning out well. Improving your sleep takes time and music accumulates in effectivenss. Click here to get a free summary checklist of all the Music-assisted relaxation tips in this post, and start applying them tonight. Get your music-assisted relaxation tips checklist. No signup required. Get your infographic on “How music helps you sleep” and “Features of music for sleep”. No signup required. Why does pop music sound so simple and generic? What is the perfect music for more productive work?